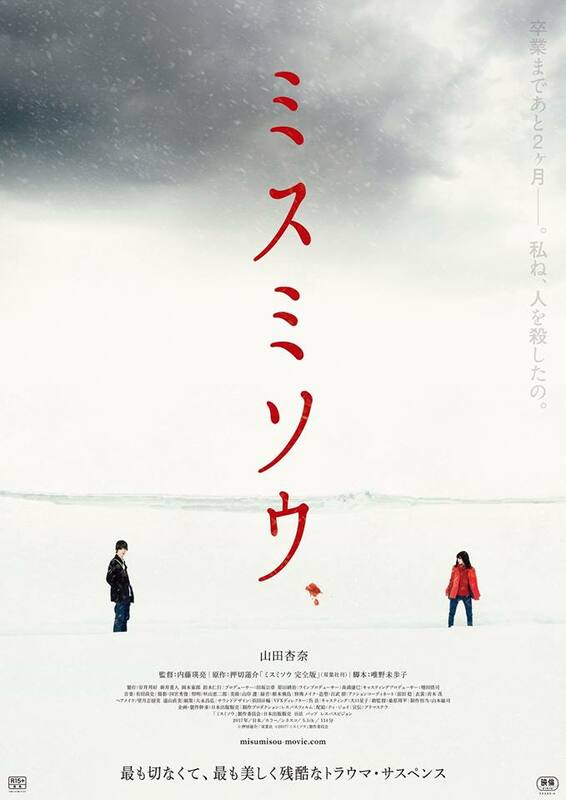 New film by Eisuke Naito, Liverleaf (Misumisou), will be hitting Japanese theaters in April 2018. Based on a novel. Naito says he was asked to helm it at the last moment (1 month before filming started). The star is some 16 year old girl named Anna Yamada. Seems to have an R15 rating attached. No trailer yet. I'll give anything by Naito a shot. Reviews for the novel sum up the plot as being about a female transfer student suffering increasingly horrific bullying until a tragedy occurs. Could be boring tripe or quite awesome, depending how said "tragedy" plays out. Until a trailer appears I'll just put my trust in Naito, who in the past has generally picked projects that fit his sensibities well. Now THAT is what I call a teaser! Looks 100% like an Eisuke Naito joint. This just became one of my most anticipated films of 2018. I'm still very much into it. Junior high school kids murdering each other is something that could end up looking ridiculous if not handled with delicasy or stylish excess. That is exactly what happens in this long but hollow revenge drama about a bullied girl going after with her wrongdoers. The problem: her transition is not believable and the hysterical little devils, badly played by idol-like girls, are as convincing as the film's constant GCI snow. Being an Eisuke Naito film, there is excess, with eyes stabbed, mouths slit open, guts hanging out and so on, but few of the gory set pieces are well choreographed. It's only during the last 20 minutes that the film finds cruel beauty in its blood soaked images.